This past Saturday I went with the San Diego Costume Guild to their Downton Abbey themed tea at the Aubrey Rose Tea Room in La Mesa. 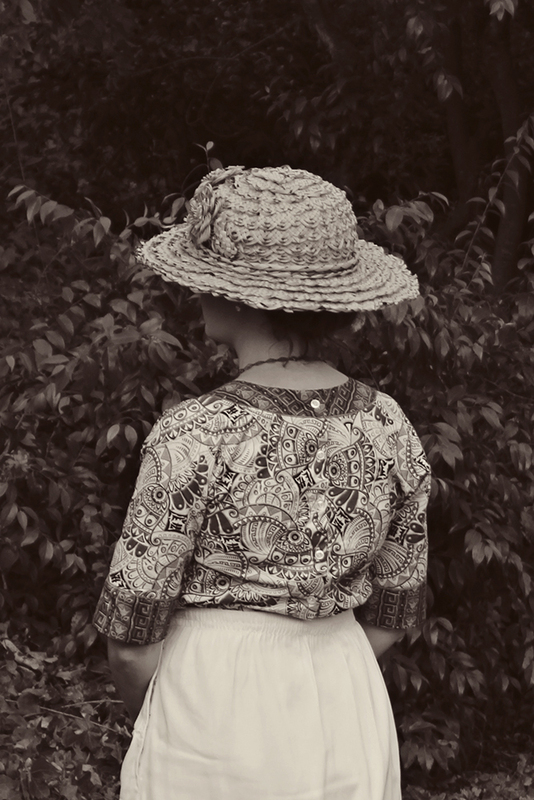 I didn’t figure out what I wanted to wear until the night before, so settled on a late teens/early 20s vintage skirt, a vintage hat I had bought at an estate sale last year, and a blouse of some sort. And then, like the crazy lady I am, I decided to sew a blouse for myself the morning of the event. I had bought this fabric for myself a few months ago from our local quilt shop, Fat Quarters, with the idea to make this exact blouse. The fabric is from the Downton Abbey collection by Andover. 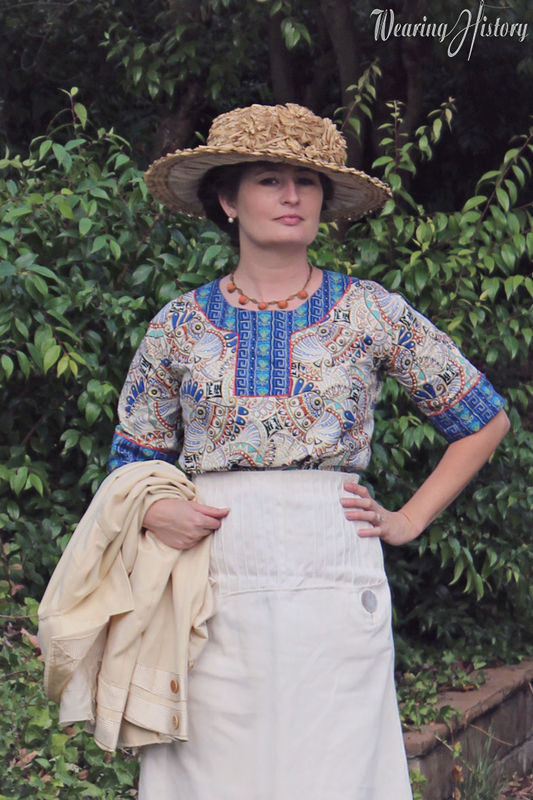 I sewed like the wind, and a three or four hours later had a wearable blouse. I did a quick little waist tie, since I didn’t have time to make the interior casing that the blouse was meant to have. I’ll go back later and do that properly. 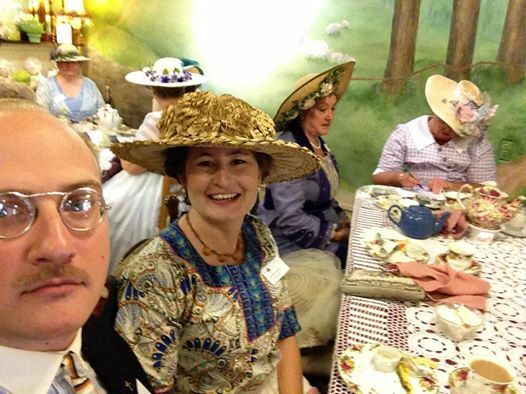 I didn’t take any proper photos of the tea, but luckily my husband snapped this selfie of the event (at my request). But when we got home, we took some proper photos! I love the Egyptian Collection and am making a charm quilt from some charm square packs. A few of them, that one included, I would happily wear! You look great! SO AWESOME! I love the Egypt inspiration, of course, and your hat is to die for! I know I’ve said this before but I love this blouse! Your whole look is too cute! 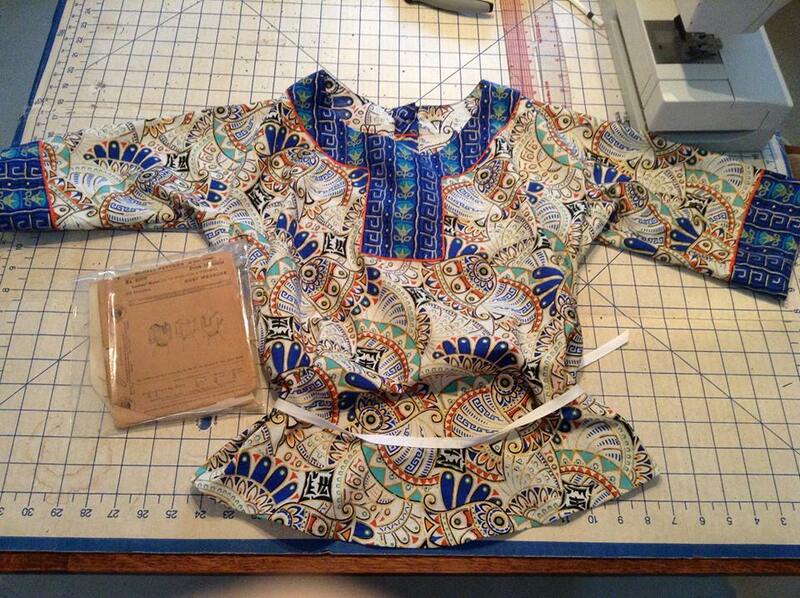 I think I need to make something from my Downton Abbey Egyptian fabric finally. Just can’t make up my mind on what I want to make. <3!!! I would wear this every day! Just wonderful style and that blouse fabric is beautiful! Good work! 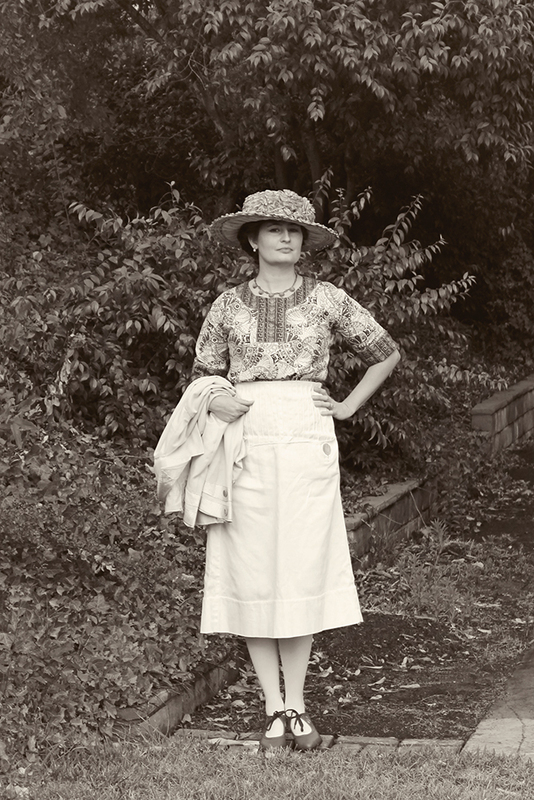 Really, though you made a blouse so nice for the period and in such a short time. HATS OFF TO YOU!! Gasp and away!! 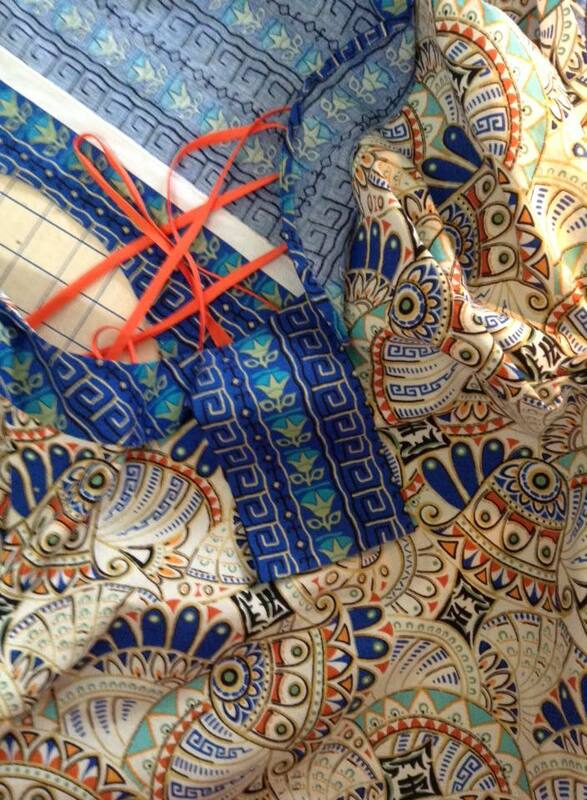 I am so in love with your Egyptian flavored fabric!! What gorgeousness!!! Your jacket is so incredible…How fun for you!!! You look so stylish :) Wonderful blouse! I can’t figure out which I love more- that blouse or the hat!! Needless to say, they’re both wonderful and are tempting me to outright plagiarism…. Looks like much fun was had! I need to get on with some of the SD costume guild things. I absolutely adore the fabric for your blouse!